Designed with leading retailers, our ESLs are run by a truly enterprise-class solution using only a single server instance, offering the lowest total cost of ownership (TCO) of any ESL vendor. No servers are needed in-store, while our labels, which are the brightest and clearest shelf-edge displays available, are optimised over-the-air (OTA). Easily deploy and maintain an enterprise-class ESL solution with no need for your IT team to learn a new system, set up servers or manage databases. Free your team from the technical aspects of managing an ESL solution to focus on the business case, ROI and benefits. The platform provides you with system visualisations that show all activity and trigger automated alerts when needed. Receive reports on requested price and promo changes to ensure 100% accuracy across your store estate. Reduce the operating costs of managing and maintaining an ESL solution: fully managed by Displaydata’s support team 24/7 with operations across the US and Europe. With the infinite scalability of the cloud you can efficiently expand your deployment from a few stores to thousands. Meet the best-looking, best-performing ESLs. ESLs that communicate their status to your HQ and can be optimised over the air. Change price, promos and more, on millions of labels across thousands of stores in seconds. A web interface, managed from a single location to change and monitor labels – with no need for software, servers, switches, domes or core appliances in each store. Drag-and-drop templates to create fully graphic, eye-catching labels. 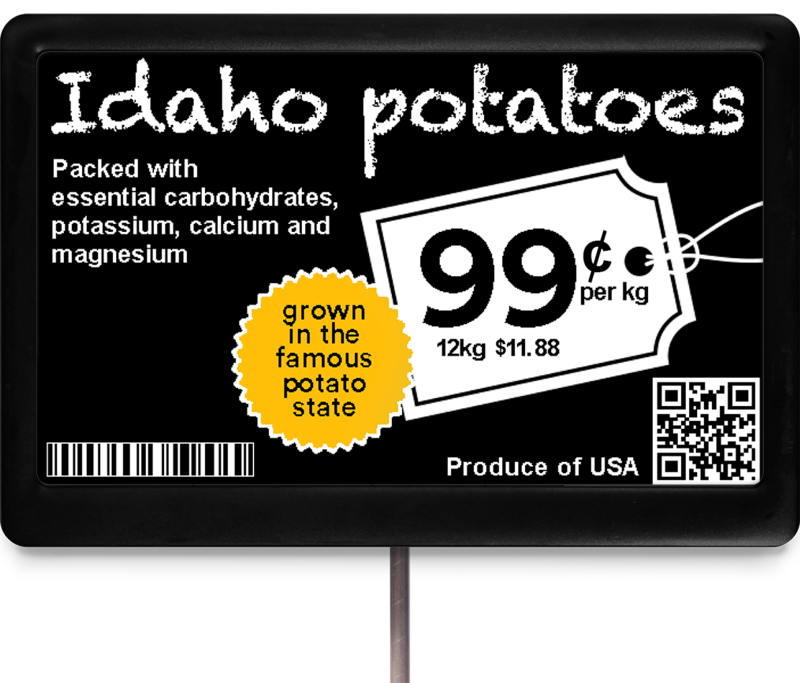 Easily assign/unassign labels in-aisle using a mobile device of your choice. The only software platform with a centralised architecture to manage every in-store communicator and electronic shelf label – across one store or thousands. Superior connectivity to ERP and other data sources, offering the highest data throughput rate of any ESL vendor. A truly enterprise-class solution using only a single server instance, offering the lowest total cost of ownership (TCO) of any electronic shelf label vendor. Just one communicator can manage 200,000 labels across 50,000 square feet – with no need for software or servers in-store. Got more space or labels? Just add more communicators. Communicators let you know if label updates have been made. They also stream label status, battery life and temperature – data that can be used to remotely optimise each label. Communicators are easily installed with a simple bracket, Powered over Ethernet (PoE) and remotely configured. No cabling, servers, switches, domes or core appliances needed in-store. Meaning no cherry-pickers, no big teams of installers and no store closures required. Offering interference immunity by operating in an uncongested sub-1 GHz frequency that suffers no interference from 2.4 GHz Wi-Fi networks. Lowest cost installation and maintenance using the least amount of hardware in-store of any vendor. The world’s best Electronic Shelf Labels. Run by a truly enterprise-class solution using only a single server instance. Our labels are recognised as being the brightest, sharpest and having the most consistent colours available. Change bezel colours to match your brand. Featuring the latest electrophoretic display (EPD) technology, our labels reduce glare and are viewable through close to 180°. Fully graphic and available in three colours. Red, black and paper white. Yellow, black and paper white. Select from labels with Bluetooth or NFC built-in to connect to customers’ smartphones, send offers, and use location-based services. Labels confirm updates have been made and provide details such as battery voltage and temperature, so the display’s quality is always high. Changeable batteries and long life (typically 5 years with up to 3 updates per day). Labels operate from -25°C* to 30°C. Our Electronic Shelf Labels (ESLs) bring the shelf-edge into the Internet of Things era, helping to create shopping experiences that are more engaging, rewarding and personalised – and profitable. 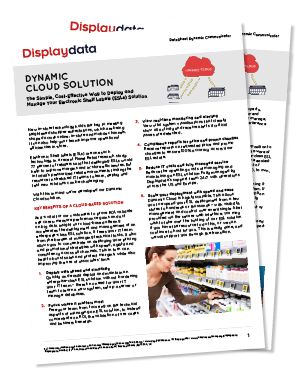 We help retailers optimise sales and margin at the shelf-edge, where 90% of purchases are still made. Want to know more? We’d love to hear from you. 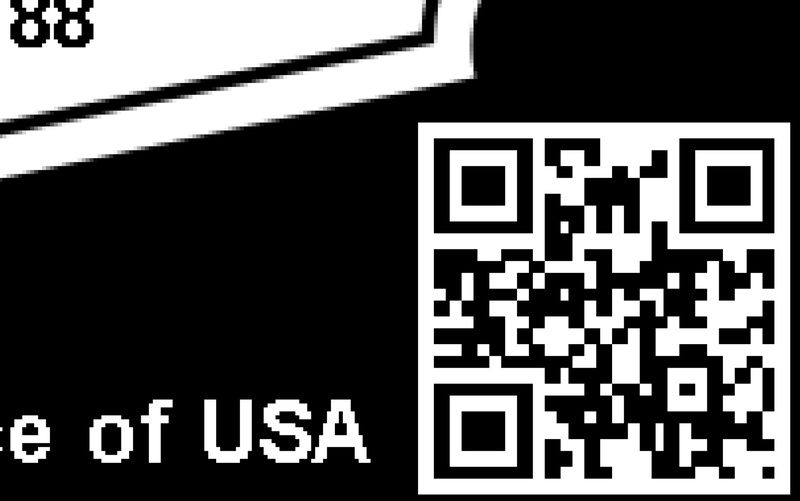 © 2016-2019 Displaydata Limited. All rights reserved. Company number: 03929602.